Composers who have influenced my music include Bach, Mozart, Debussy, Ravel, Delius, Messiaen and Stravinsky to name but a few. With this wide variety of influences and often employing derivative procedures, I endeavour to produce music of unmistakable individuality. I have researched extensively the construction and aesthetics of many kinds of music. These studies encompass ancient modes, plainsong, J S Bach's contrapuntal writing and a comprehensive analysis of more complex 19th and 20th century compositional techniques. 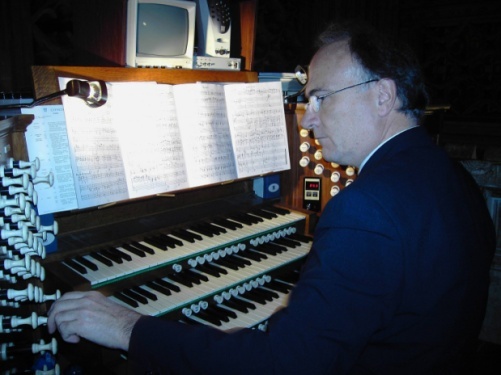 My admiration for the 19th and 20th century French organist/composer tradition can be seen in my own works for the organ. Composers such as Franck, Widor, Tournemire, Langlais and Messiaen have always inspired me. As a composer my goals must be to point my listeners' thoughts and emotions in certain directions - to reach out and touch in a manner that only music can.